Registration for this event is now closed. A limited amount of seats may be available at the time of the event on a first come first serve basis. 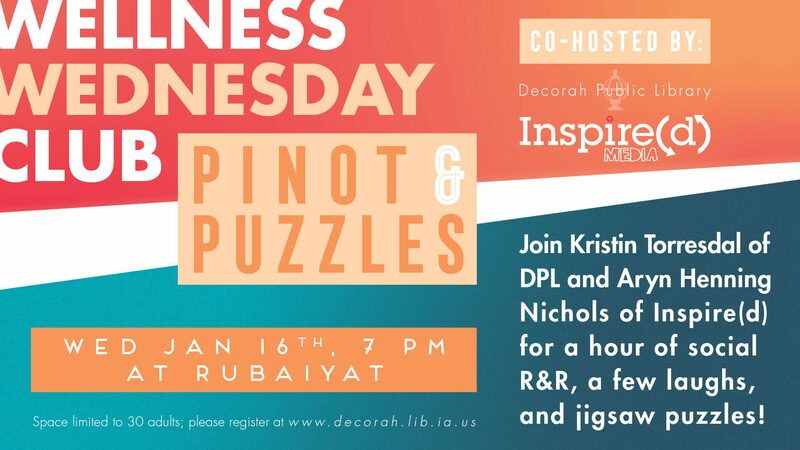 Join Kristin Torresdal of DPL and Aryn Henning Nichols of Inspire(d) for a hour of social R&R, a few laughs, and jigsaw puzzles! Space limited to 25 adults; please register below.